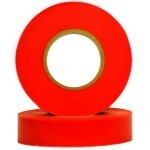 Electrical tape is 66 foot long and is 3/4 inch wide. 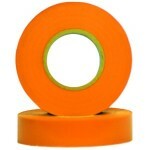 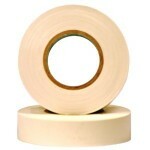 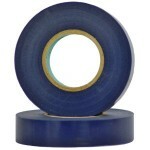 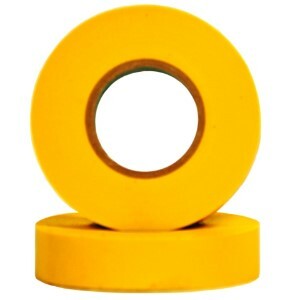 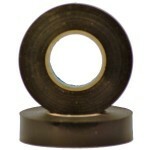 The tape is yellow and can be used for many applications including hanging lights and decorations. 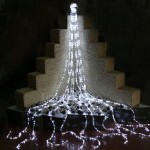 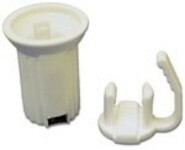 It is also ideal for adding support to holiday decorations such as lighted sculptures and life size figurines. 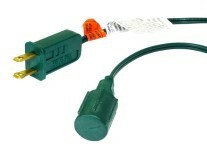 Can be used both indoors and outdoors.